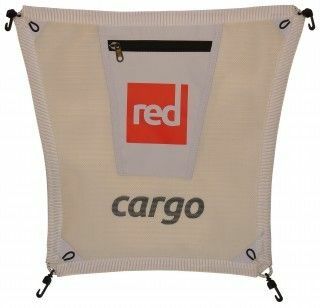 Le Cargo Net de chez Red Paddle Co est un accesoire indispensable si vous voulez transporter quoi que ce soit sur le plancher de votre sup. Il s'accroche sur les oeillets de fixations. Stand up paddle gonflable Red Paddle Co Ride 9'8 2017. Pagaie Sup Red Paddle Co shaft fibre pale nylon 3 parties. Planche de SUP gonflable Red Paddle Co Voyager MSL Fusion. Planche de stand up paddle gonflable Red Paddle Co Voyager 13'2 MSL Fusion. Stand Up Paddle gonflable Surfpistols Isup Kid 7'5. Stand up paddle gonflable enfant Surfpistols Isup Kid 7'5. Windsup gonflable Red PAddle Co Dagger MSL Fusion windsurf 10'7. Windsurf gonflable Red Paddle Co MSL Fusion Dagger 10'7 2017. SUP Red Paddle Explorer 13'2 MSL Fusion 2017. Stand up paddle gonflable Red Paddle Co Explorer 13'2 + MSL Fusion 2017. Stand Up Paddle enfant gonflable Swell Kid Air 8'0. Planche de SUP gonflable Red Paddle Co Ride 9'8 MSL Fusion. Stand Up Paddle gonflable Red Paddle Co Ride 9'8 MSL Fusion. Planche de SUP gonflable Red Paddle Co Ride 10'6 MSL Fusion. 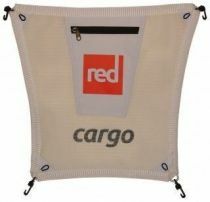 Planche de stand up paddle gonflable Red Paddle Co Ride 10'6 MSL Fusion. Planche de Stand Up Paddle Surfpistols Pirate/Pin Up Marinère. Planche de SUP Gonflable Lokahi Air Aka. Planche de SUP Gonflable Yoga Nahskwell Training. Planche de SUP Yoga Nahskwell Training Air 10'0. Planche de SUP gonflable Red Paddle Co SPORT MSL Fusion. Planche de SUP gonflable Red Paddle Co SPORT 11'3 MSL Fusion. Planche de SUP gonflable Red Paddle Co Ride 10'6 SE MSL Fusion. Planche de stand up paddle gonflable Red Paddle Co Ride 10'6 SE MSL Fusion LIMITED 2018.